Week two of my food travels around the world has us in Japan, I think we were all excited by this choice. Today we cooked some Japanese street food. 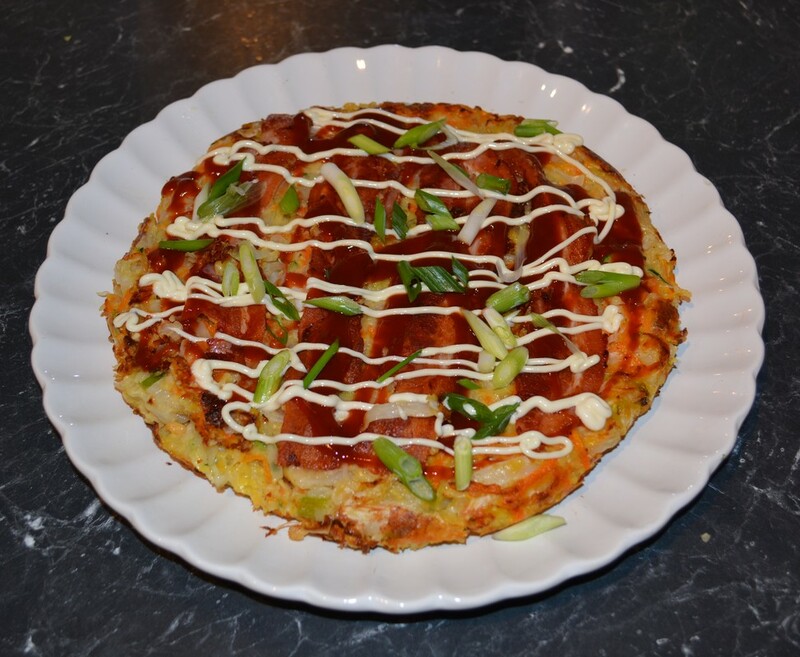 ​Okonomiyaki is a savoury pancake, similar to any pancake the mix is made up of flour, water (or dashi), egg and for this pancake shredded cabbage is mixed into the batter. Then you add things you like to the mixture, like prawns, pork belly, calamari, other vegetables, you really can add anything you like, it is a bit of a fridge cleaning kind of recipe. Then you fry it until crisp on both sides and top it with okonomiyaki sauce, mayonnaise, pickled ginger, katsuobushi (bonito flakes) and aonori (seaweed flakes). Place the cabbage in a large pot and cook over a meium heat for 10 minutes, stirring occasionally until the cabbage softens and releases its juices. Add the fish sauce, sake and water and bring to the boil. Simmer for 20 minutes until the cabbage is very soft. Strain the broth and store it in a covered container in the fridge for up to a week or longer if you freeze it. The cabbage can be added to soups or stews, or boil upsome potatoes, mix it with the cabbage, dress it with some oil, salt and pepper and eat it as a salad. Mix it all together, super simple and I always have these ingredients in my fridge. This is a simple recipe, but a nice mid week meal, especially when you need to clean out the fridge. In a large bowl mix together the flour, dashi, egg, cabbage and prawns. Heat oil in a large frying pan over a meium heat. Pour in the mixture, flatten, top with bacon slices and cook until golden brown on the bottom about 10 minutes. Slide the pancake out carefully onto a large plate. Now place the frying pan on top of the plate (and the okonmiyaki) and flip the okonmiyaki back into the frying pan. Fry until golden brown, about another 10 minutes. 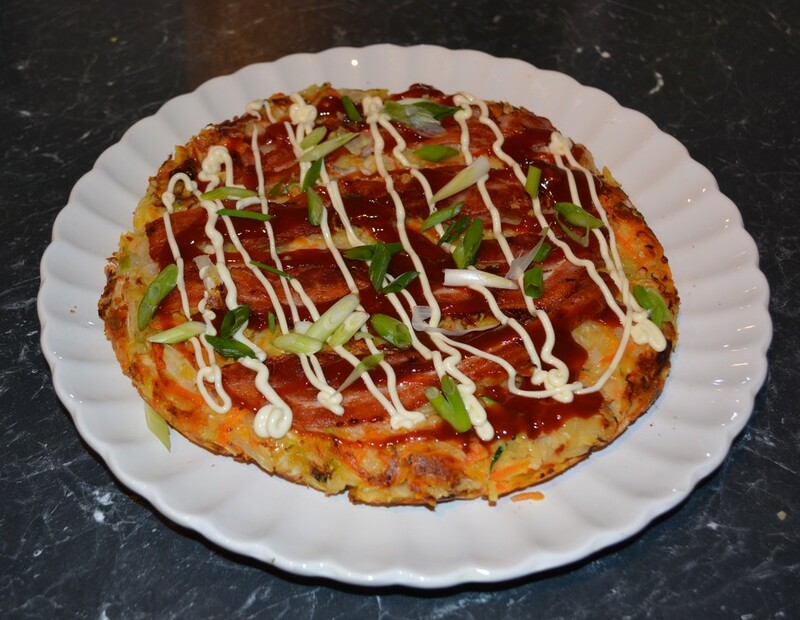 Place the okonmiyaki onto a serving plate, top with okonomiyaki sauce, mayonnaise, green onion slices, bonito flakes, if using and aonri, if using. ​Serve with pickled ginger on the side.